Make yourself at home in one of the 31 air-conditioned guestrooms. Complimentary wireless Internet access keeps you connected, and satellite programming is available for your entertainment. Private bathrooms with showers feature complimentary toiletries and hair dryers. Conveniences include phones and safes, and housekeeping is provided daily. This charming hotel is set in Spindleruv Mlyn. Nestled within 8. 0 kilometre(s) from the town centre, the property allows easy access to all this destination has to offer. The main entertainment areas are 8. 0 kilometre(s) from the hotel. The property is within 18. 0 kilometre(s) to the main public transport connections. There are a total of 70 accommodation units at Spindlerova bouda. This is a pet-friendly hotel. At this hotel, there are plenty of health and wellness services which guests can take advantage of. Spindlerova bouda offers entertainment tailored to guests' needs. Some services of Spindlerova bouda may be payable. Make yourself at home in one of the 102 guestrooms featuring refrigerators and flat-screen televisions. Complimentary wireless Internet access keeps you connected, and cable programming is available for your entertainment. Bathrooms have showers and complimentary toiletries. Conveniences include desks and coffee/tea makers, and housekeeping is provided daily. Stay in one of 207 guestrooms featuring LCD televisions. Rooms have private balconies. Complimentary wireless Internet access keeps you connected, and satellite programming is available for your entertainment. Private bathrooms with showers feature complimentary toiletries and hair dryers. Make yourself at home in one of the 164 guestrooms featuring minibars and LCD televisions. Complimentary wireless Internet access is available to keep you connected. Bathrooms have showers and hair dryers. Conveniences include safes, housekeeping is provided daily, and cribs/infant beds (complimentary) can be requested. A warm welcome awaits you at the mid size, 4 star Adam in Spindleruv Mlyn. The hotel offers off site car parking. Dining is available at the hotel, which has it's own restaurant. Business users are catered for with wifi and meeting facilities available at the Adam. Rooms at the Adam. All rooms have a hairdryer. Smoking in certain bedrooms is allowed, as well as in public areas of the hotel. Please specify when making your booking. Wifi internet access is available in all rooms. All rooms feature a stocked minibar. Leisure Info. The Adam offers a range of leisure facilities. During your stay, relax with a luxurious range of spa treatments including beauty, massage and sauna. The hotel has its own indoor swimming pool. Other Info. The hotel offers an airport shuttle service. Pets are made most welcome at the hotel. Hotel guests can make use of the concierge service that is provided. 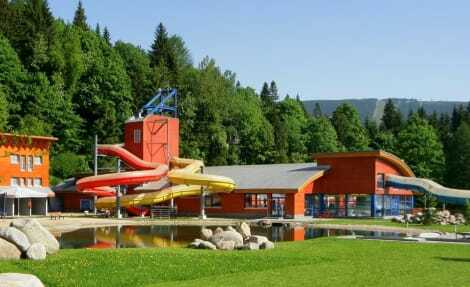 This charming hotel is situated in Spindleruv Mlyn. There are a total of 27 guests rooms at Praha. Pets are not permitted on the premises. 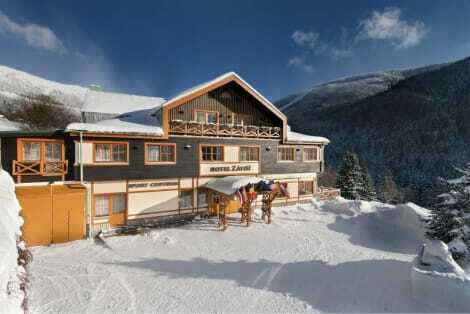 This lovely hotel is set in Spindleruv Mlyn. There are a total of 104 bedrooms on the premises. This is not a pet-friendly hotel. lastminute.com has a fantastic range of hotels in Spindleruv Mlyn, with everything from cheap hotels to luxurious five star accommodation available. We like to live up to our last minute name so remember you can book any one of our excellent Spindleruv Mlyn hotels up until midnight and stay the same night.